Coming from Northwestern Ontario, I was struck by the combination of similarities and stark differences that exist between Norway and the region west of Lake Superior. 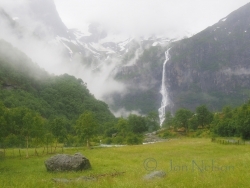 We traveled through the Sogne Fjord and Nord Fjord regions and were surprised by the proximity of glaciers, steep mountains and small farms. 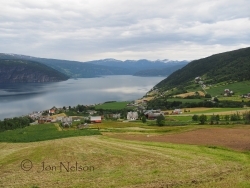 Many farm fields lie high above the Nord Fjord. 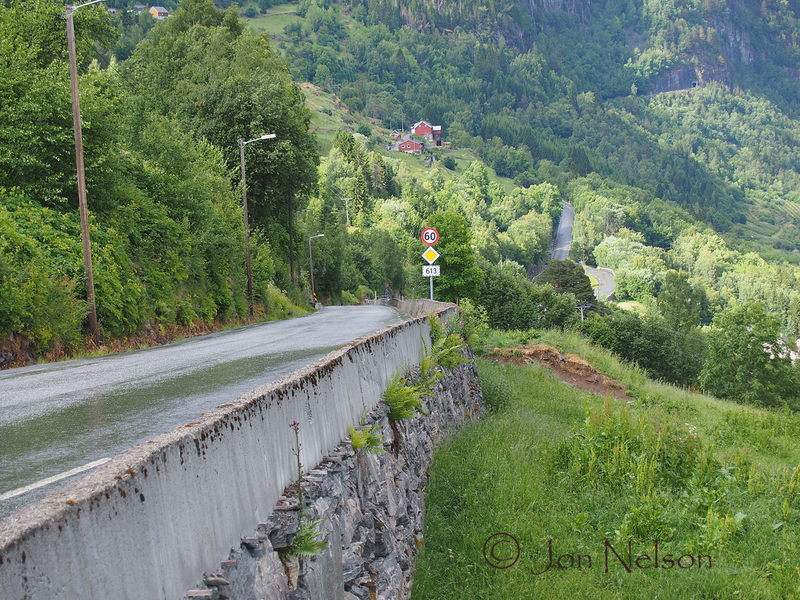 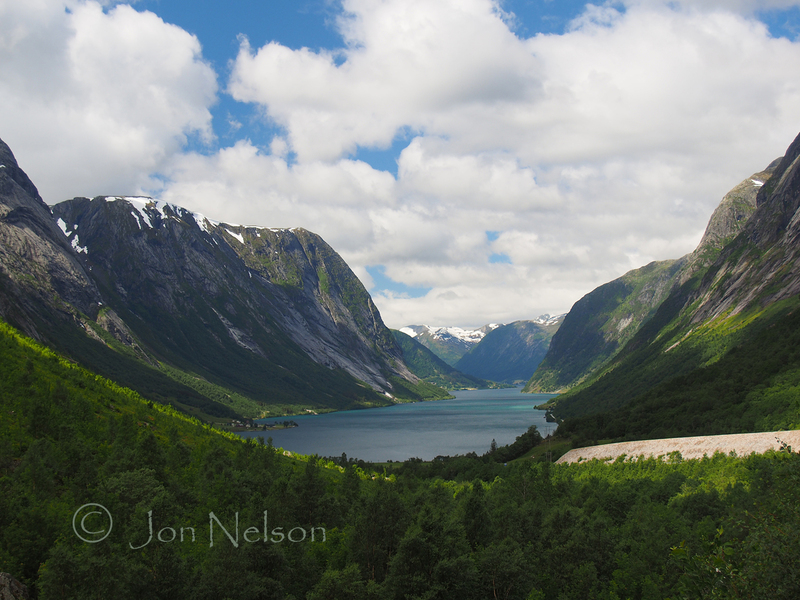 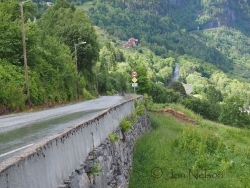 Roads along the rugged Norwegion fjords have many tunnels - one can be seen in the distance - and low speed limits. 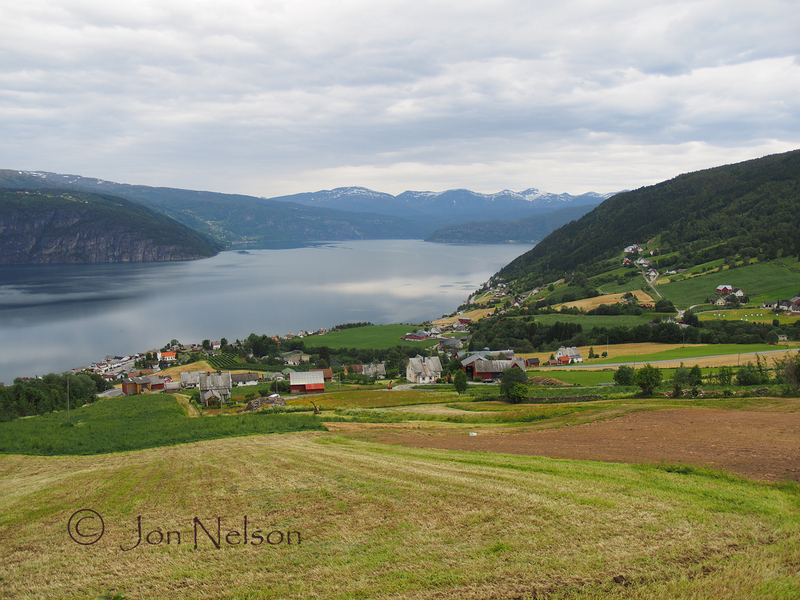 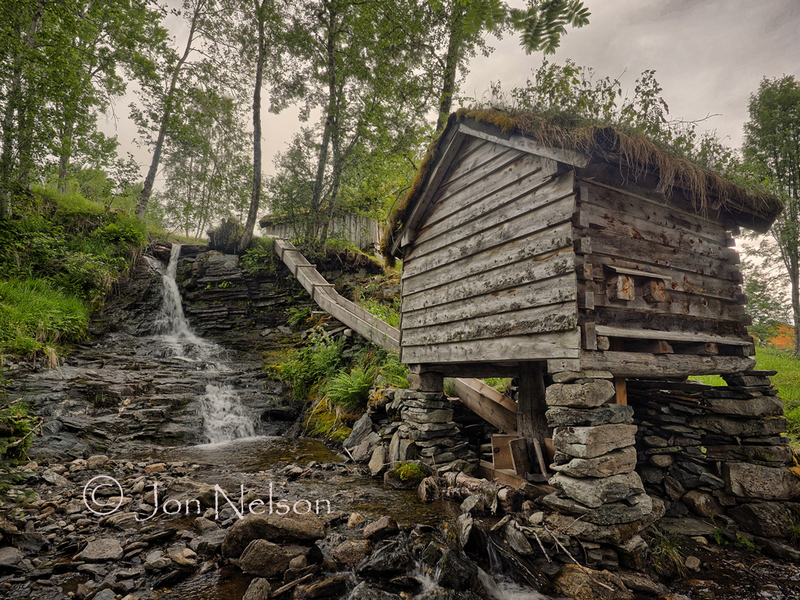 The road spirals down alongside small farms as it drops down to Utvik, Norway. 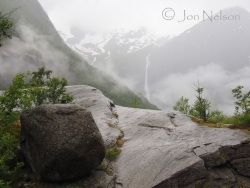 Fog formed in a U-shaped valley below glaciers and waterfalls. 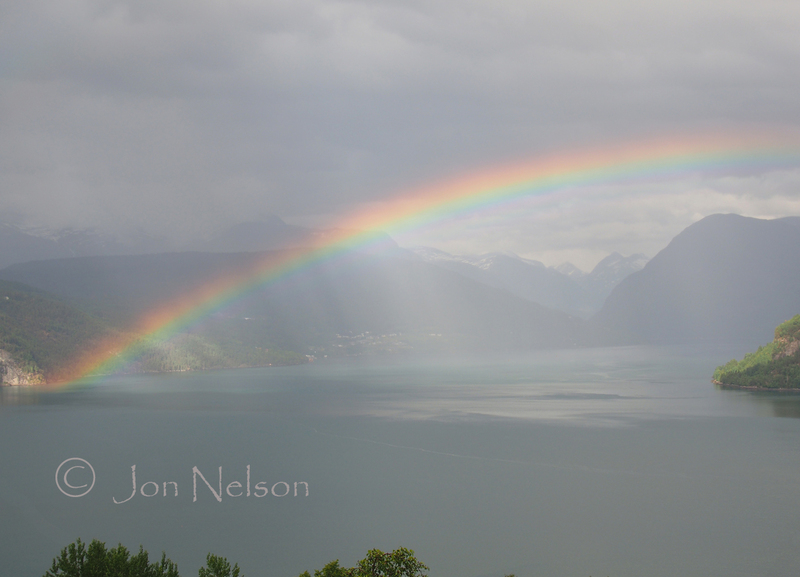 This spectaclar rainbow appeared over the Nord Fjord. 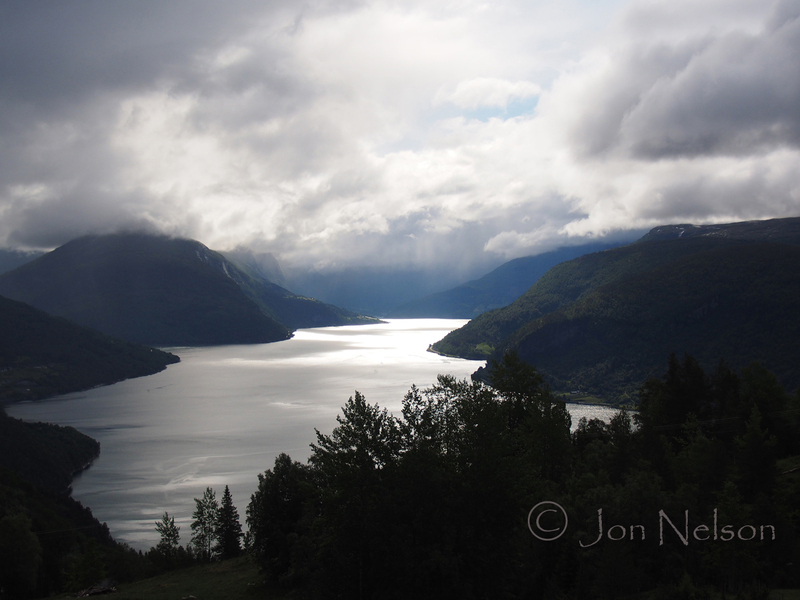 Dramatic weather makes for dramatic photos. This was taken from a hill adjacent to our cabin. 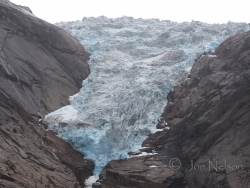 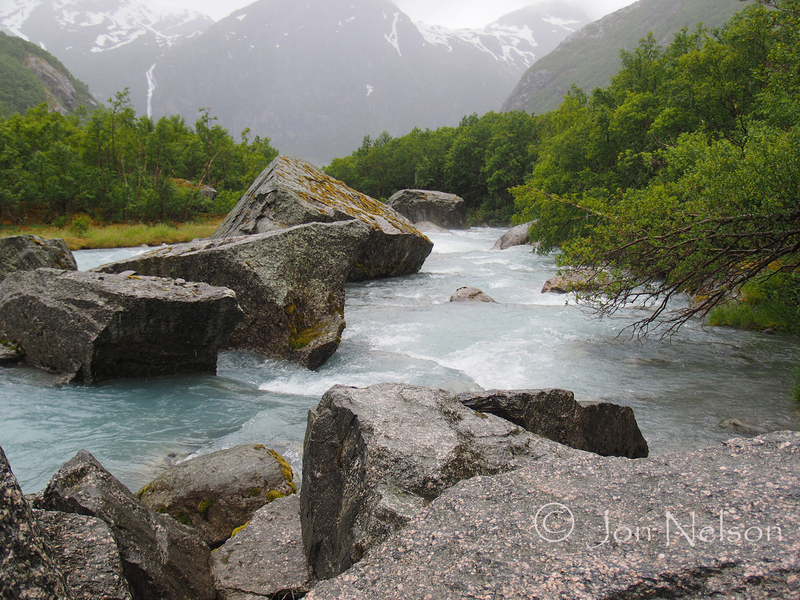 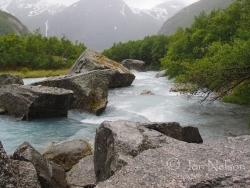 A river loaded with glacial meltwater flows from beneath the glacier. 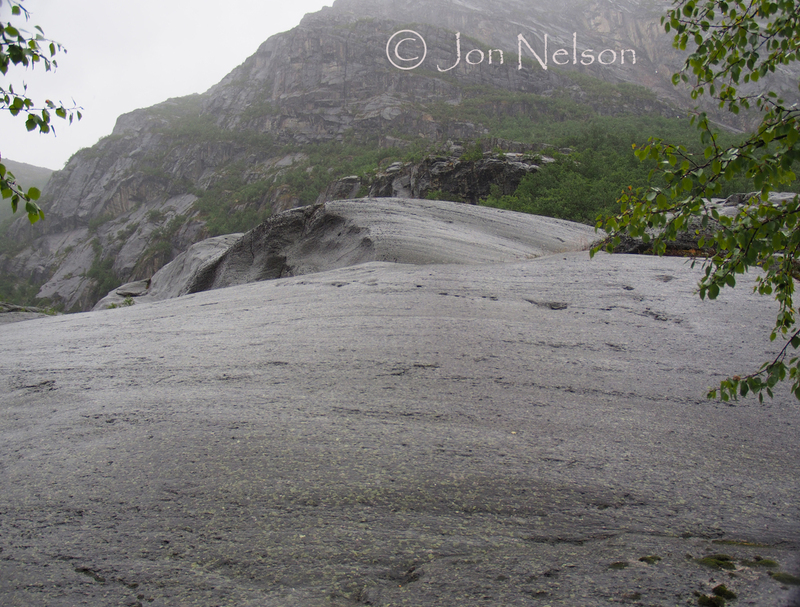 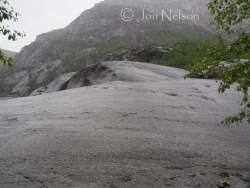 The trail up to the Briksdal glacier parrallels sections of glacially smoothed bedrock. 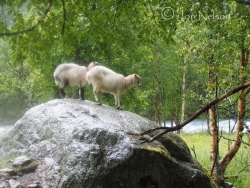 Sheep take refuge from the rain under trees. 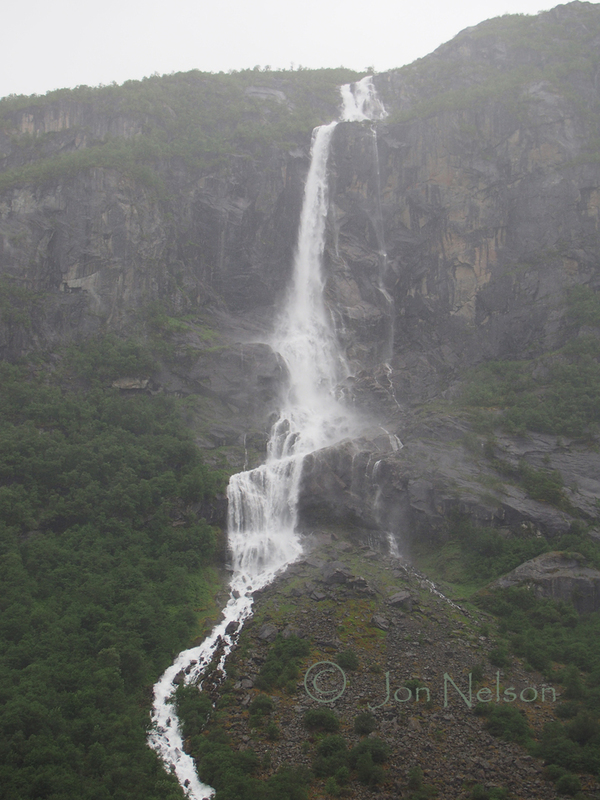 A waterfall can be seen through the mist and gentle rain as we hike back to the Visitor Centre. 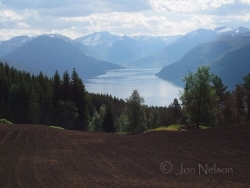 The Nord Fyord as seen from the highway heading south to Sogndal. 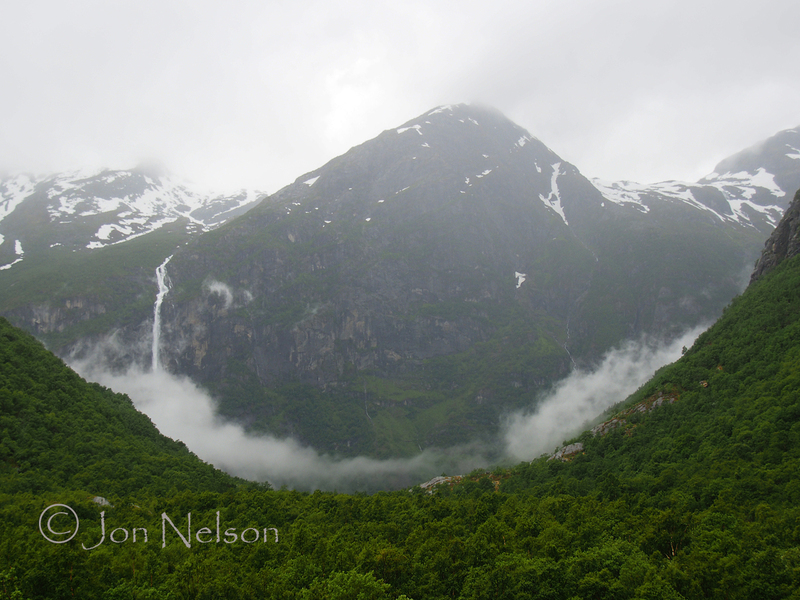 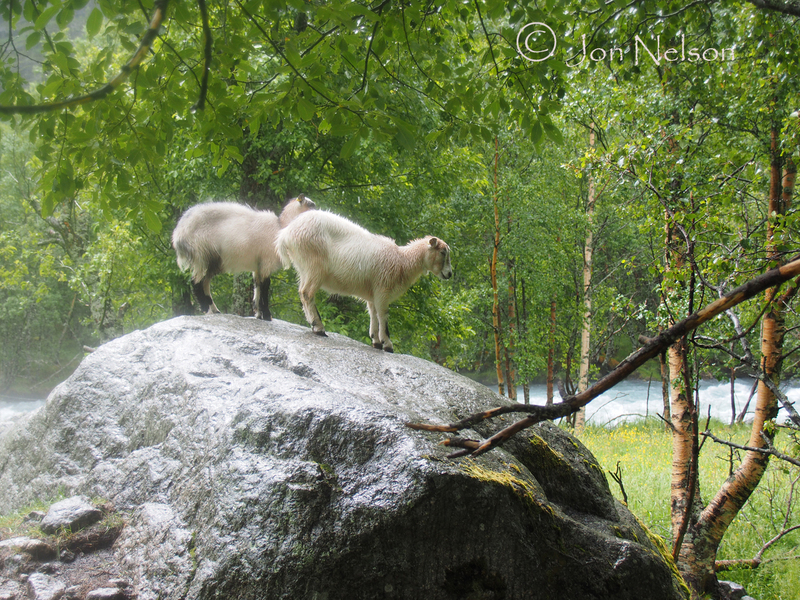 It was with a sense of awe that I looked toward the waterfall, mountains and rising mist. 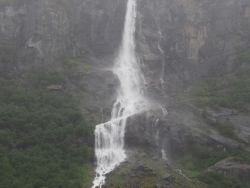 This waterfall can be seen from the Visitor Centre and on the on way to and from the glacier.